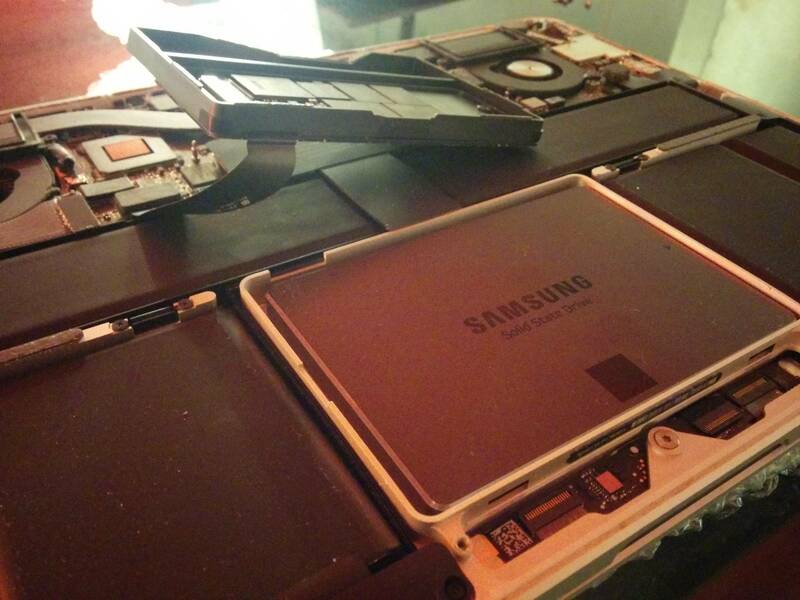 I've a Samsung 840 EVO available and wanted to put it in my rMBP late 2012 (bought in feb 2013). I can't find any info on this instead of "buy an OWC". I'm still very curious as it seems there is a perfect sized slot available for an ssd, plus a small place to let the connector go to the mobo. This system is at a crossroad, Apple clearly designed it with a 2.5 SSD in mind but some where in the designing of the system they changed their direction to the newer M.2 based devices. Sadly, your Samsung EVO won't work here as the I/O interface is not compatible. julien barbay sonsuza kadar minnettar olacak.